Provide proof of domicile in the United States. If you’re planning to petition a family member for a green card, you’ll most likely need to file Form I-864, Affidavit of Support, and prove your U.S. domicile. What is Country of Domicile on Form I-864, Affidavit of Support? An I-864 sponsor must be domiciled in the United States. In very simple terms, U.S. domicile means that you live in the United States. More precisely, your principal residence must be located in the United States (to include the District of Columbia and U.S. territories), and you plan to maintain a principal residence in the U.S. for the foreseeable future. It’s okay to move to another state within the United States; the United States continues to be your domicile. Temporary travel to another country does not disrupt your U.S. domicile. If you take a short vacation abroad or even visit family in another country for a couple of months, you continue to have a U.S. domicile as long as the United States remains your permanent home and you always intend to return. For most people, this is straightforward. If you live at a U.S. address, your country of domicile is the United States. But for some people with employment overseas or lengthy visits abroad, it becomes more difficult to define and provide proof of domicile on Form I-864. A U.S. citizen may live abroad, but it will create a challenge when proving your country of domicile is the United States. A lawful permanent resident may also have extended visits abroad to be with family members, business or other reasons. But “living” abroad or extensive trips can create additional problems for permanent residents (read more). Other proof such as evidence that you are a student studying abroad or that a foreign government has authorized a temporary stay. Additional evidence that ties to the U.S. were maintained could include receipts for storage facilities in the U.S., subscriptions or contributions to organizations in the U.S., proof of visits to family and friends in the U.S., proof of having renewed a U.S. driver’s license, and even relevant correspondence with institutions, colleagues, family, and friends that communicates your intentions to return to the United States. But what if you live abroad and don’t work for a qualifying employer and can’t submit proof of U.S. domicile? Certain individuals may also be able to act as I-864 sponsors if they intend in good faith to reestablish domicile in the United States no later than the date of the intending immigrant’s admission or adjustment of status. Lawful permanent residents should be aware that extensive absences from the United States can create problems beyond country of domicile. A permanent resident can abandon his or her status by moving to another country (even temporarily) if originally intending to live there permanently. Additionally, one can lose a green card if he or she remains outside the United States for more than one year. A reentry permit (if obtained prior to the trip) can be used to reenter for trips not longer than two years. Alternatively, certain circumstances may justify a returning resident visa. Please speak to an immigration attorney if you’ve been absent from the U.S. for more than one year. You must submit evidence that you’ve taken steps to establish domicile in the United States at a time no later than the date of the intending immigrant’s admission or adjustment of status. 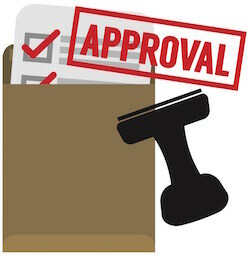 Examples of acceptable evidence include a written job offer (and acceptance) from an employer in the United States, signing a lease or purchasing a residence in the United States, or enrolling children in U.S. schools. Closing foreign accounts and opening of accounts with U.S. institutions helps to support your claim to U.S. domicile. 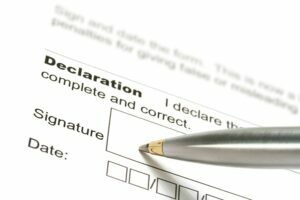 For individuals that do not have domicile clearly established in the United States, filing Form I-864, Affidavit of Support, can be more challenging. If you live abroad but still claim the United States as your country of domicile, you will need to submit a written explanation and documentary evidence along with your Form I-864. You must be able to prove that you are employed abroad by certain U.S.-related entities or that your absence from the United States is temporary. Country of domicile situations can be very complex and will be determined on case-by-case basis. Therefore, if your U.S. domicile is not straightforward, we recommend that you contact an immigration attorney before filing the Form I-864, Affidavit of Support. 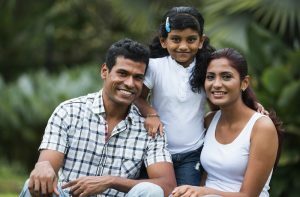 CitizenPath provides simple, affordable, step-by-step guidance through USCIS immigration applications. 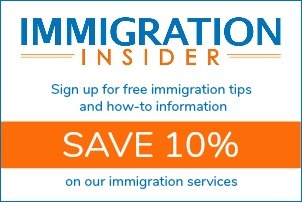 Individuals, attorneys and non-profits use the service on desktop or mobile device to prepare immigration forms accurately, avoiding costly delays. CitizenPath allows users to try the service for free and provides a 100% money-back guarantee that USCIS will accept the application or petition. We provide support for the Affidavit of Support (Form I-864), Adjustment of Status Application (Form I-485), and several other immigration packages.